Cleaning with lemon and vinegar is an inexpensive alternative to buying spray cleaners for house cleaning. Commercially available cleaning solutions break down dirt and clean surfaces because of their pH. pH is a measure of hydrogen ion activity in a substance. When the pH of something is particularly high (acidic), or particularly low (basic), it can break down some organic materials. Lemon juice and vinegar are common kitchen items, but they’re also relatively strong acids. They’re not strong enough to burn your skin, of course, but they’re sufficient to clean surfaces in your home. Distilled white vinegar has a pH of about 2.4 and a strength of about 5%. Lemon juice has around the same pH. Because of their acidity, both of these common cooking ingredients can double as a multipurpose cleaning solution. 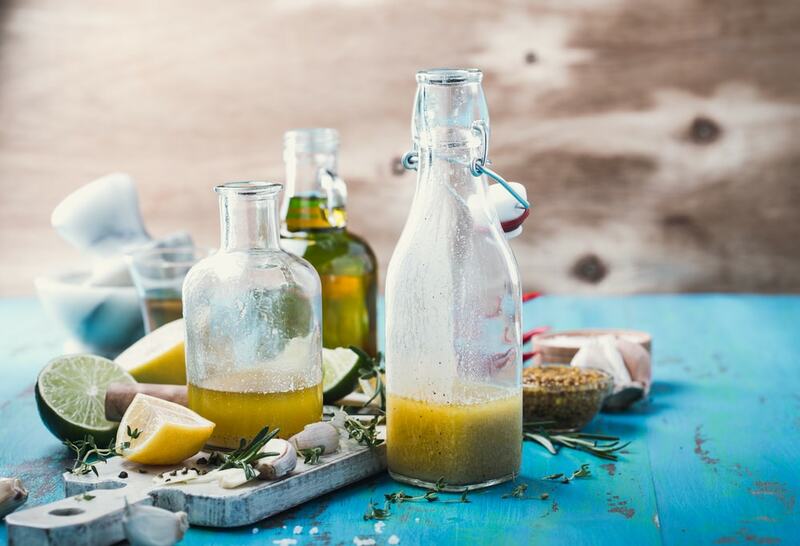 Cleaning with lemon and vinegar is nontoxic, environmentally friendly, and incredibly inexpensive compared to cleaners that you buy at the store. For that reason, many homeowners use these simple alternatives instead. Peel your lemons. Other citrus fruits, like lime and citron, can also be effective. However, most people choose lemons because they’re commonplace and inexpensive. Oranges tend to be decidedly less acidic, as you can tell by their sweeter, less astringent taste. For this, you’re actually going to be using the peel, not the fruit or juice itself. Just eat the fruit or make some lemonade. Fill a jar or bottle with the citrus peels. You may need to chop them up to fit them. Add white vinegar. Slowly pour white vinegar into the bottle to the top, leaving enough space to screw on the lid. It’s advisable not to overfill, to prevent spillage. Place the bottle in a cool, dry area. Before you can use it for cleaning, the mixture needs to “marinate,” so that the helpful compounds in the lemon peels seep into the vinegar. This takes about ten days. After it sits for ten days, you can use your new lemon and vinegar cleaning solution on almost any non-porous surface in your home. It’s highly effective, nontoxic, and less caustic than store-bought cleaners. It’s very safe if you have children or pets. Cleaning with lemon and vinegar is very helpful in the kitchen. Not only does it have a pleasant, lemony scent, but you can clean quite a few things with it. Clean your countertops. 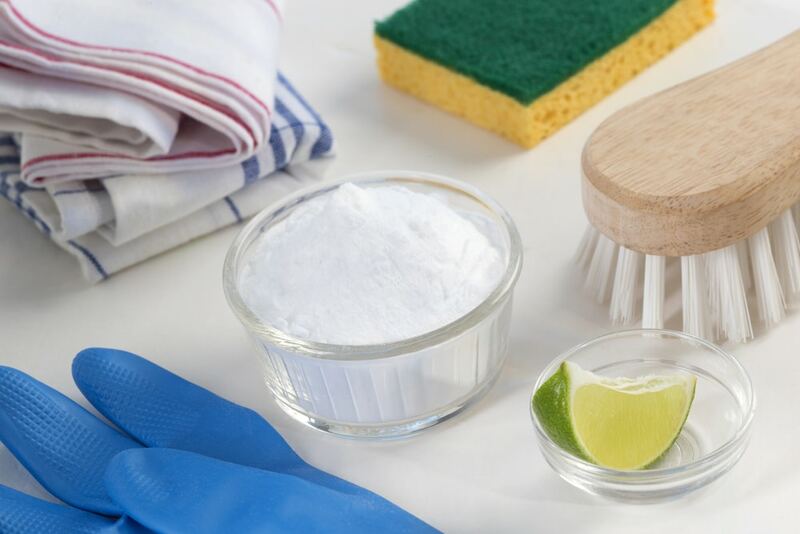 Many types of countertops can be safely cleaned with a lemon and vinegar solution. However, take special care if you have granite or marble. Clean your coffeemaker. You can also clean your coffeemaker with your new lemon and vinegar solution. Put equal parts water and solution into it, then run it. Turn it off halfway through the cycle, then let it sit for an hour. Afterward, complete the cycle. This removes the tough grime that builds up inside, leaving you with better tasting coffee. Clean the microwave. When was the last time you cleaned the inside of your microwave? Put one cup of the solution and one cup of water into a bowl. Microwave it on high for about ten minutes. This makes the inside, easier to clean. Cleaning with lemon and vinegar can also remove mineral deposits from your showerhead. Put the solution in a plastic bag, and tie the bag around the showerhead while dipping the showerhead into the solution. After letting it sit overnight, rinse the showerhead in the morning. You can also use the solution on the shower walls to deter mildew growth. Lemon and vinegar can make a surprisingly versatile cleaning solution that you can use around the house. It’s safe, natural, and although it’s just corrosive enough to clean surfaces, it’s not harmful to humans and pets.